Today I’ve got two things to show you. 1) A few weeks back I planted some black beans (I let them sprout first) and they came up nicely. 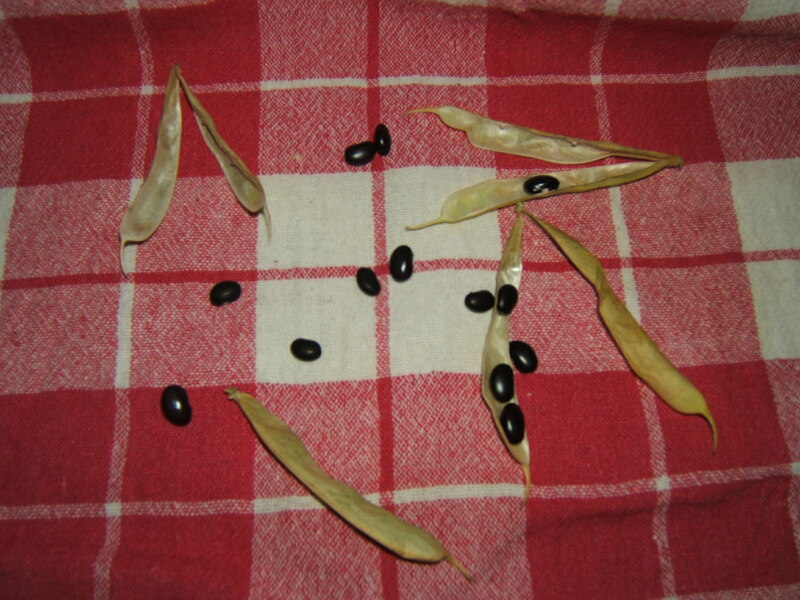 Of the three plants that I have, one is already done with flowering and is now letting its pods dry, so I picked four pods off and shelled the beans. 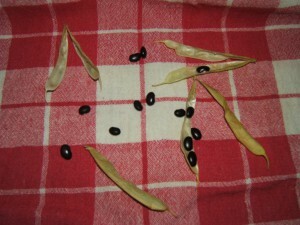 This yielded 16 beans! Hooray! All my gardening happens inside the flat and there are no pollinating insects in said flat thanks to the bug screens we put in the windows. 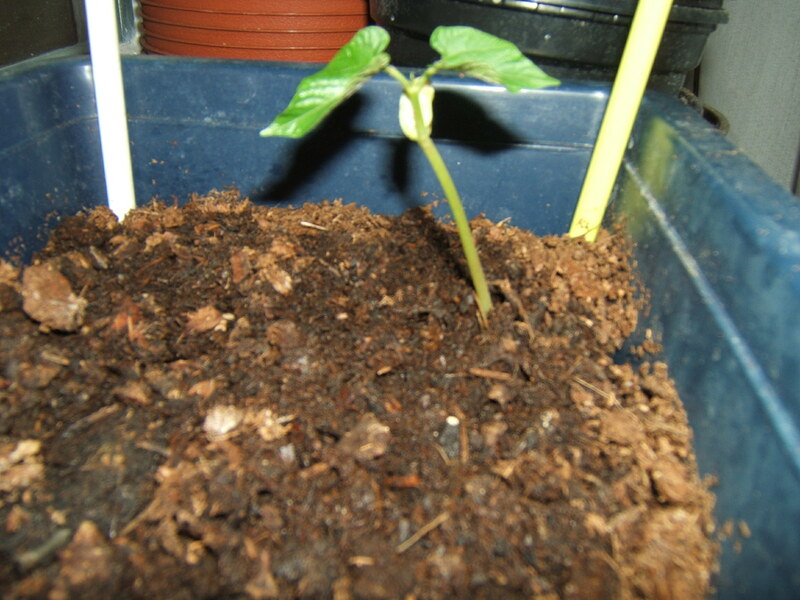 So, I chose beans because they are self-pollinating and required no tending besides a little watering and removal of old leaves. I know that I won’t harvest enough beans for more than one meal (if that) but I like the idea of harvesting at least something. 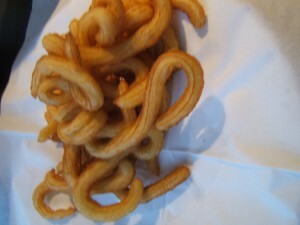 2) After dinner I made churros. I got the recipe from the 50th issue of Donna Hay, so it’s not necessarily like any traditional recipes. But they were delicious anyway. I made skinny twisty churros… you can make them fatter and less twisty. I also melted some chocolate to dip them in. I’m sure they’d be great with maple syrup or honey.